to use our registration form to submit an inquiry 24/7. Faviana style 9397 graceful and timeless. Pleating from the waist flatters your figure as it drapes down to the floor in the chiffon fabric available in four colors, black, cherry pink, cloud blue, and red. Pair with crystal earrings and a textured cuff. 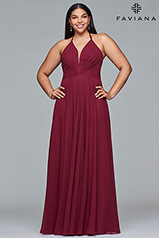 Feel stunning for prom, a gala, or evening event. 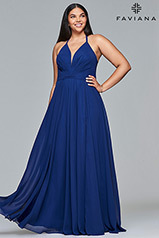 Your Los Angeles & Las Vegas stop for dresses that fit all your special occasion needs! Come glam it up at one of our many locations today!